I know I have posted a lot from Woot lately but they have had lots of tablet deals. This tablet is perfect if you can't decide on getting a Kindle or a colored display tablet. 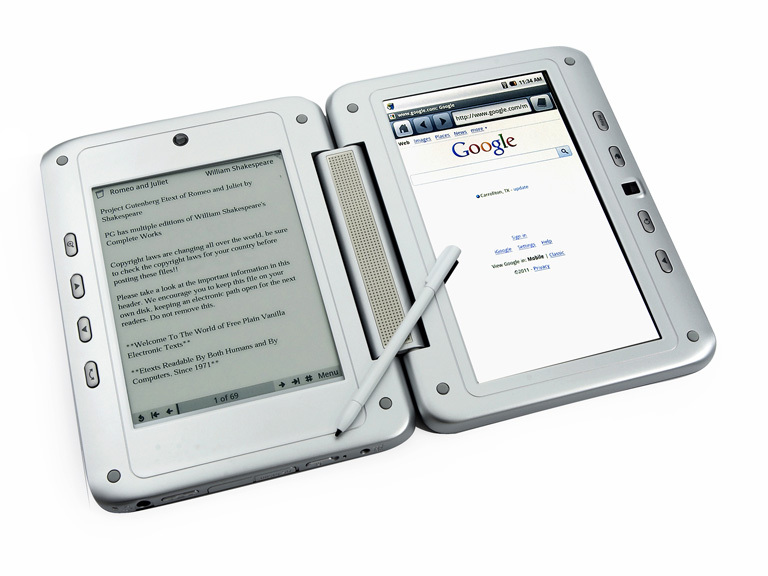 The e-reader uses ePub formats as well as PDF. The color screen has Android 1.6 and will allow you to browse the web, play flash videos, and view many videos types. It will also be perfect to view all those scrapbooks you have just digitized. Remember these Woot deals are only one day. If you missed it, check out the link below.